Сломать печать истоков ненависти является ежедневным эвентом, который могут проходить персонажи всех уровней. После выполнения квеста "Сокровище страны" или "Воля небес" вы можете случайно получить Загадочную печать. Если вы получили Загадочную печать, идите в Хэян к одному из Камней начала - Гора, Вода, Небо. Один из камней должен быть уничтожен и вы получите 15 пилюль Тайчи и Жемчужину, в зависимости от разрушенного камня. Once the quest has been completed a total of 100 times (combined total of all players on the server) any player possessing a fragment of the Genesis Seal may attempt to summon powerful Warsouls contained in the Genesis Seals. Please note that each Genesis Seal is considered its own quest. For example, placing a Mystic Stamp on the Kan Genesis Seal will not count towards the total of the Chien Genesis Seal. If successful, the summoner of the Warsouls will receive 200 Taichi Pills and 500 Affinity Beads. Travel to the designated area in either the Kunlun Mountains (-334, -110), Southern Border (-122, -110), or Incense Valley (250, 2) and face the creatures the Genesis Seal once imprisoned. Note: Having been set free, if the fiends are not destroyed within a hour of their release, they will escape from your grasp. 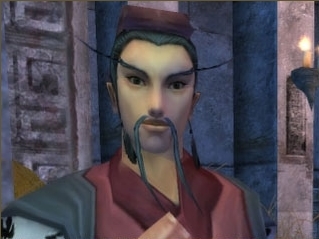 If you are able to defeat the creatures within the allotted time, return to the Crystal Hall in Jadeon and speak with the Syncretic Sage (124, 234) and exchange your fragment of the Genesis Seal for 50 Taichi Pills and a Skytouch Jade. 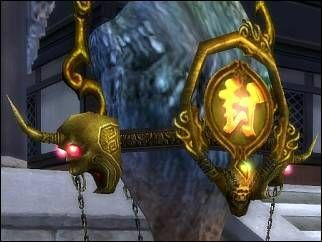 Skytouch Jades may be exchanged with Taisung the Tao for powerful weapons. Note: The Syncretic Sage will depart from the Crystal Hall after two hours have passed.